I’ve wanted to tackle homemade pizza dough since last winter when having home-baked pies became our Friday night ritual. While we chopped fresh ingredients, assembled the pizza and baked it in our oven, we only ever got halfway to homemade because, confession, we used raw dough from the supermarket. 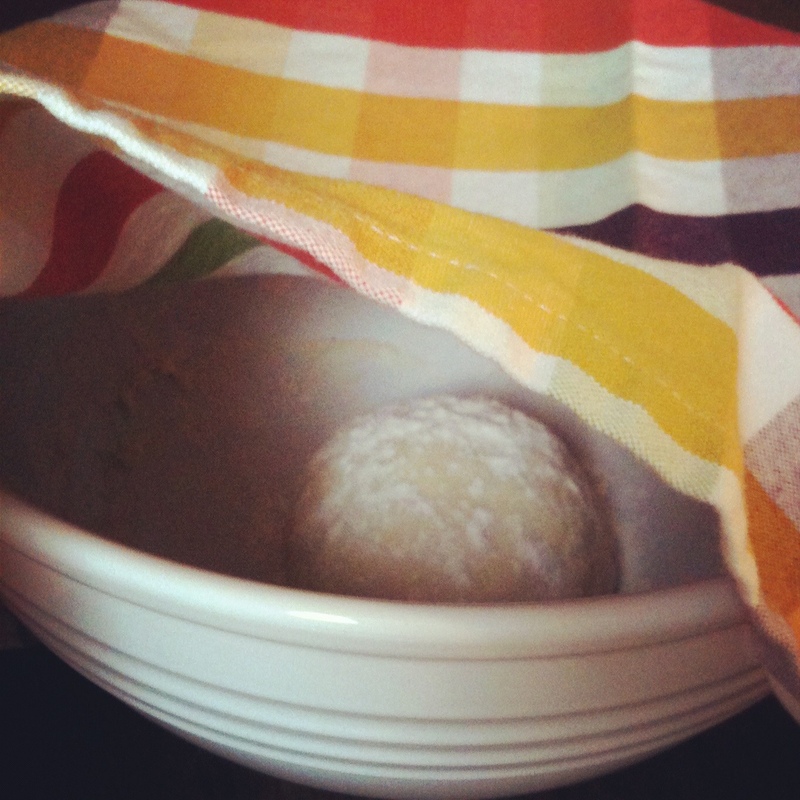 Making dough from scratch felt intimidating: yeast can be finicky and how will I know when it’s done rising? Can it rise too much? Too little? It all seemed overwhelming. 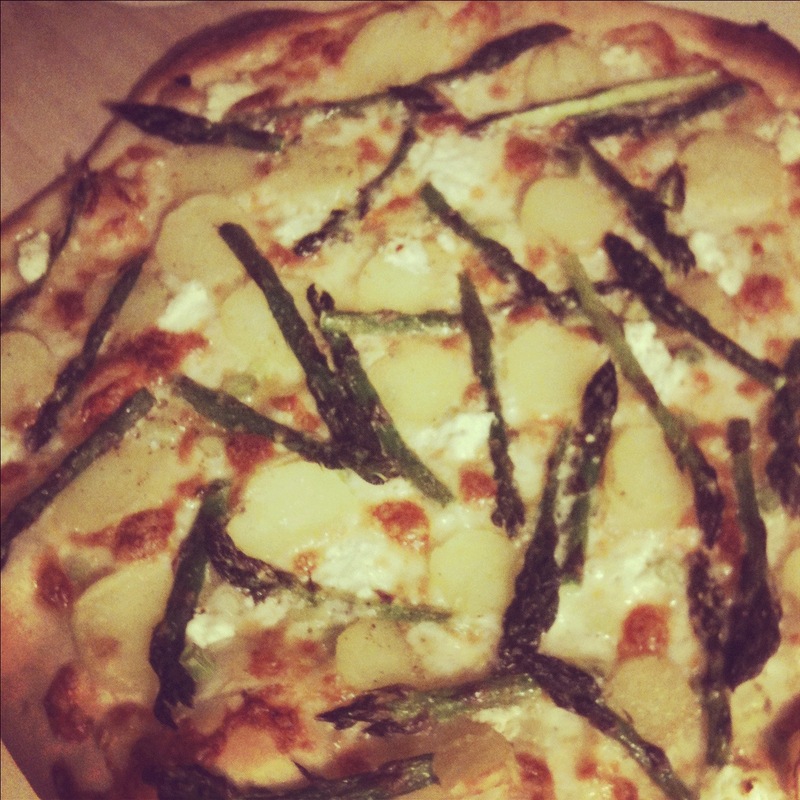 Yesterday on my way home from work, I found this recipe for a pizza Bianca with potato slices, asparagus and goat cheese on my Epicurious app. Yum! My mouth watered as I read the ingredients and I figured there was no time like the present to face my culinary fears and make dough from scratch. And I did and it was as easy as, well, pie. When the dough finished rising, I was left with a light, malleable ball. The the grocery store dough is frustrating to work with because no matter how much flour I use, it still sticks to my hands, the rolling pin and the wooden pizza paddle. The homemade dough hardly left any residue on surfaces and it was easy to roll out into a large round base for my toppings. The final result? Pizza with a thin crust that was crispy on the edge, but soft toward the centre. It’s no Pizzeria Libretto, but it was a solid first try. 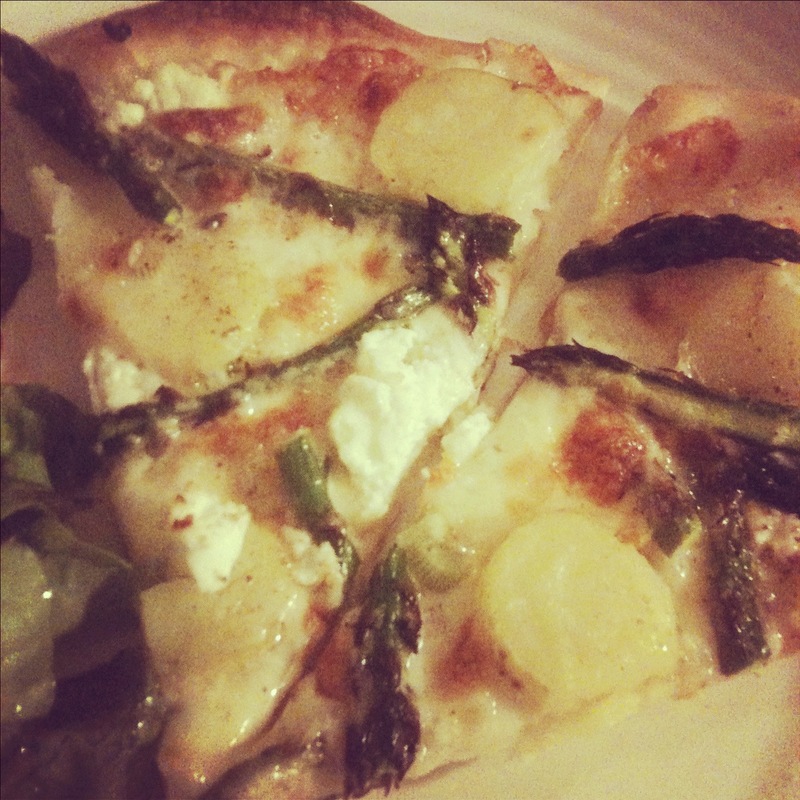 This entry was posted in Food and tagged asparagus, cook, cooking, dinner, dough, easy, easy dinner, eat, food, goat cheese, homemade, homemade dough, homemade pizza dough, love, pizza, pizza bianca, pizza dough, pizzeria, recipe, write, writing by lovewritenow. Bookmark the permalink.